Berneta L. Haynes was born and raised in Little Rock, Arkansas but has lived everywhere from Missouri, England, Iowa, Chicago, and Philadelphia since age eighteen. She obtained a Bachelor's degree in English, Writing, and Psychology from Drury University in 2006. She later received a Master of Arts in English from the University of Iowa and a Juris Doctor from the University of Iowa College of Law. She has practiced environmental law in Chicago and Atlanta, advocating for environmental justice and renewable energy. Her previous short story publication credits include Bonfire, a literary magazine published through Drury University, and The Bangalore Review. Additionally, she has published articles in Out on the Town Magazine, Inside Higher Ed, and the Iowa Press-Citizen. 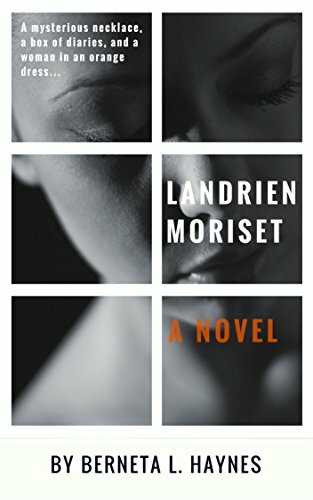 Her debut novel, Landrien Moriset, is now widely available at Amazon and other well-known book retailers. Currently, Berneta is the founding editor of Waking Writer, managing editor at NPO.io, and a public policy advocate in Atlanta. She is working on her upcoming science fiction novel and blogging joyously. Social butterflies can follow her on Twitter and Facebook.